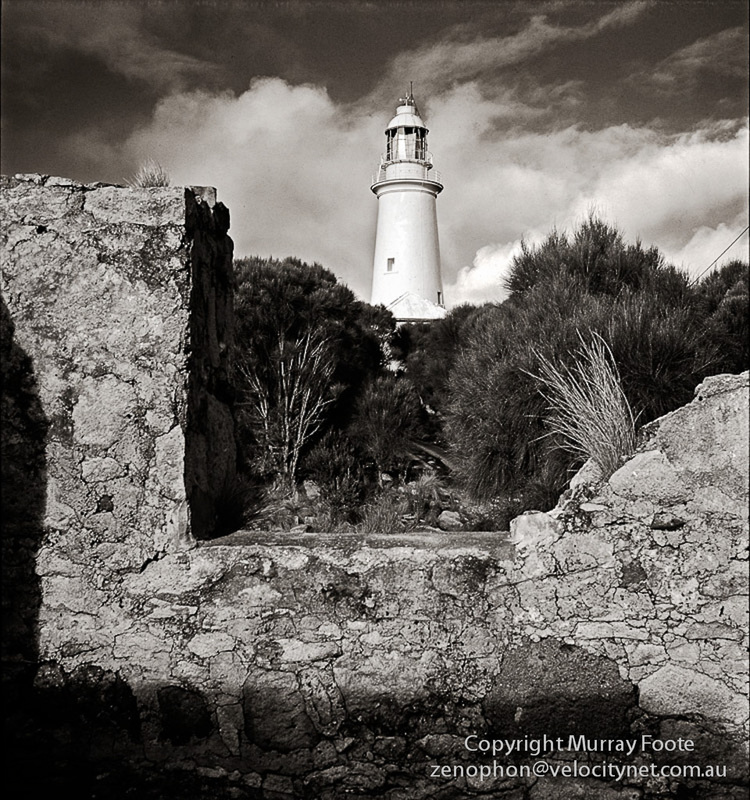 My name’s Murray Foote and I’ve been pursuing photography for over thirty years. For much of that time, I’ve been involved with the Canberra Photographic Society, including at different times as President, Vice-President and Competition Director. I was also sent round Australia taking photographs of lighthouses in 1987, and since I retired in 2010 I have been travelling. This is Lake Hume, near Old Tallangatta, in Victoria near the border with New South Wales. I shot it on film on 6x17mm format using a Gaoersi panorama camera and a 75mm Rodenstock Grandagon f6.8 lens. It is a long exposure after dark, not sure how long, maybe 5 or 10 minutes. In 1987 I was sent around Australia taking photographs of lighthouses for a history of Australian lighthouses, From Dusk Till Dawn. This was published in 1988 and contains about ninety of my images. I took most of the images on large format (5×4″ film size) and some on 35mm (mainly fisheyes inside the lighthouses). The image above is from a 1937 Rollieflex twin-lens reflex. There are many others in the blog. I am official photographer for Thredbo, Sydney and Narooma Blues Festivals. I had exhibitions of live music images at Mogo in 2009 and 2010 at the time of the Narooma/ Bateman’s Bay Blues Festival. The image above is one from those exhibitions. There are many links to live music images under the Blues tab in this blog. I enjoyed reading you comprehensive description and viewing your excellent images. I guess not too many people know much about this place . It does take quite a while not just to prepare the images but to do the research so I can be sure of what I am saying. Not a huge number of viewers, though I did have over 100 one day. I think very few go past the main page to scroll through all the posts. I love the details. There is a lot of stuff… You should write a book. I am specially interested in Antarctica. I have not read all the posts but I have book marked them. Will surely go through them. When I finish the updates I expect to explore generating a book using Blurb. I’ll post about that when and if it happens. congratulations for your work and you journey!! It has been very useful for my graduate thesis..
So… Could you tell me (by e-mail) the passage of Gonzalez’s Journal you have reported in Easter Island reportage? Sure. Feel free to go ahead. Superb photography and commentary. Was a pleasure to happen upon this site. Actually, I know another Dennis Aubrey. He’s a musician in Sydney. Im getting a tiny problem. I cant get my reader to pickup your rss feed, Im using bing reader by the way. RSS feed works OK for me in Outlook. I Am Going To have to visit again when my course load lets up – nevertheless I am taking your Feed so i can read your site offline. Thanks. It looks to me that this website doesnt load in a Motorola Droid. Are other people getting the same problem? I enjoy this website and dont want to have to skip it when Im away from my computer. Thank you very much for the sentiment though most nomination advices I’ve seen seem more like chain letters than anything. Thank you. Patagonia is a very wonderful region. I had some great times and saw some wonderful places there. I just want to tell you that I am all new to blogging and actually liked your blog. Very likely I’m want to bookmark your blog post . You really have wonderful posts. Cheers for sharing with us your web site. No coding required. You can get a standard WordPress blog up and running in about 20 minutes. Do you mind if I quote a couple of your articles as long as I provide credit and sources back to your website? My blog site is in the very same area of interest as yours and my visitors would genuinely benefit from some of the information you present here. Please let me know if this alright with you. Thanks! Thank you. No, sorry, I don’t use Twitter. Stunning photos Murray, can’t wait to have more time to go through the rest of your posts. Thanks very much Ian. I imagine it would take a while. There are nearly 1200 images on the blog now and rising. It’s very nice to meet you, Murray. Thanks for dropping by my blog! Nice to meet you, too and you do have a lot of remarkable posts on your blog. I’ve only been traveling outside Australasia since I retired a couple of years ago though I did go round the world when I was 10 and come to Oz from NZ 40 years ago. Just cause there’s lots of foreign doesn’t necessarily make the blog interesting – your wonderful photographs prove that point. By the way, can you remember a coherent sense of going around the world at 10? I replied earlier to your last question about my travels at age 10 but it came through as a new comment rather than a reply so you may not have seen it. I’ll try again and delete the earlier one…. I have a partly photographic memory and remember scattered images from that time. I remember the snake charmer in Colombo and I was the one who volunteered to have the snake draped around me (which was fine) and then the snake shat on me. I remember the round hills of Aden which was filled with mud brick buildings no more than one or two stories high. Aden was a duty-free port in those days so there were lots of shops with things to buy. I still have a set of brass bells with African motifs that came from there. I remember going through the Suez Canal and seeing the camel trains walking along the arid banks as they have done for thousands of years (well, not the banks of that canal but in the region including other canals built by the Pharaohs). I remember Pompeii and the streets with raised pavements and large stones for pedestrian crossings with grooves for the chariots to go through. I still have some 120 negatives somewhere that I took of Suez and Pompeii that I should find sometime, scan them and see what I can do with them. I can still see Marseilles from the cathedral at the top of the hill after climbing many steps to get there. No skyscrapers, nothing more than a few stories and all red slate roofs. And the Chateau d’If out in the harbour – significant to me because I had read The Count of Monte Cristo by then. I don’t remember much of Gibraltar except for the general shape of the Rock from the sea. I remember St Pauls in London standing intact with acres and acres of bombed-out foundations around it. They still hadn’t rebuilt fifteen years after the war. And there were some sheets of corrugated iron leaning to in some of those foundations with people living underneath them. I spent a term in a boarding school in Sussex while my parents toured around the continent. The oldest age was 10 and all of the boys were going to join the army which I found very strange. I remember the dozens of canes of different sizes in the Headmaster’s study and the boy who was deaf in one ear after the Headmaster had boxed him in the ears there. (These days, there’d be a court case). We had horse riding lessons there at a nearby farm. One day I found a kind of wooden tunnel that I climbed through and found myself in the farmer’s barn, a kind of impromptu agricultural museum with perhaps hundreds of years of cast off agricultural machinery. I remember what Le Havre looked like from the top of a building but it was just a boring modern city. I remember the wide vistas of the boulevards in Lisbon where they rebuilt after the earthquake, something of the Moorish castle we visited up on a hill, the live lobsters in a tank in a restaurant and the tiny back streets where people had to step into doorways so the taxi could go through. I remember being on a beach in Trinidad at a tourist hotel and there were locals living in run-down shacks beside the beach. I thought they were the poorest people I had seen but they were happy and playing guitars, not necessarily for the benefit of the tourists. One night when we were in the Caribbean, the Hurricane Donna was nearby. It had ripped part of the superstructure out of another liner in mid-ocean and ended up halfway up the Mississippi. We had the island of Curacao in between us and the hurricane, though. Where we were was flat calm and all through the night there was a distant rumble of thunder and a continuous display of sheet lighting across 180 degrees of the far horizon. I remember a little of the locks in the Panama Canal. I wasn’t impressed with Los Angeles but I do remember the house of a TV star which took the form of a television set. I don’t remember much of San Francisco apart from a vague memory of the steep streets and the streetcars (aka trams). In Vancouver we went up in the hills to an Indian village and I remember the huge totem pole. I also vaguely remember the view with the sea and Vancouver Island. In Hawaii we surfed in on a wave from about 800 metres out in a huge outrigger canoe. There was a man on the same wave on a surfboard with his dog. About halfway in the dog fell off so he jumped off too. I don’t remember much of Suva. But, yes, I remember quite a lot and fairly coherently. Maybe. I’d need some images that would work. Maybe some I took at the Suez and Pompeii and I have a few slides of my father’s, so maybe some of those. Not any time soon, though. One other thing that pops to mind. There was an old sailor (old to a ten-year-old, at least) who would sit around and tell tall tales to a circle of children near the pool on the ship on the way out. That worked well until he got to a story that involved divorce. “Oh, no, that can’t be right!” cried several of the children who evidently had detailed knowledge of what was possible and what wasn’t with divorce laws. It is awe inspiring to read this reply. I discovered your site the other day, starting with your photos of Antarctica. I like to go one area at a time, as I plan on viewing and reading everything, and thank you for making your work and writings available. Also your humor brings the occasional hearty chuckle. Wonderful to hear you say that Ivana. It will take you a while because there are 480 posts at the moment and currently another one every two days. When I finish New Orleans I will see how far I can get through my backlog for Lofoten Islands, Spitzbergen, Greenland and Iceland before the next big expedition in October. Ivana, I didn’t understand the context of your reply and the first sentence because your comment came in separated from the thread. I’d forgotten I’d written here about going round the world in 1960. That may be why I do so much travel now. I’ll be producing more on Antarctica in a while. I’ll be spending two weeks in South Georgia Island in November. Hi Murray. Beautiful photos of truly amazing places on this planet. Like you, I love the cold, barren, rocky polar regions. I have visited a lot of the Arctic, and you the Antarctic. The photos radiate the peace, tranquility, and also the amazing power of nature. You are in nature at its rawest and most beautiful. Thanks for sharing! Greetings from your fellow Australian in Holland! Hi Matthew. Yes, I love the elemental power of nature in those regions that can make us just a spectator in a place we don’t truly belong. (p.s. I just noticed I added another comment rather than making a reply so you may not have seen this reply). Lovely site and great pics you have here. Thanks for stopping by my blog and liking a post. Thanks very much. Hopefully you’ll soon have the right result for the Presidency and the Senate; turning the House of Reps around may be more of a problem. Yes, the House is a big problem. It wouldn’t be as bad if they would get rid of the supermajority rule but that’s probably pie in the sky. Ah, yes I had to look up the supermajority rule. There’s no equivalent in Australia apart from constitutional changes. A majority in the House appears to be out of reach but perhaps just possible if Obama overwhelms Romney in the next debates. It’s very strange, really. Reagan created far more debt in real terms for no good reason than Obama did for justifiable reflation. The Republicans largely created the financial crisis, hobbled Obama’s reaction to it and now want to get back in under the curious justification that they claim to be good economic managers. All this distracts from moving towards more sustainable development and restoring social equity (without which economic progress will be greatly hampered). Winding back military expenditure wouldn’t go amiss, either. Thanks very much again and funny you should mention the cup of tea. I’m in the early planning phase for my next expedition and expect to be passing through the Orkneys at some stage next July. At this stage I’ve put down a deposit for a sea voyage from Spitsbergen to Iceland via Greenland but nothing else is fixed. I’m thinking of hiring a car and visiting Skye, Lewis, St Kilda (not by car! ), the Highlands, the Orkneys and Shetlands, then visiting the Lofoten Islands on the way to Spitsbergen and driving round Iceland when I get there. Greenland in summer might be interesting! Iceland with the volcanoes too. You can do your sleeping outside in summer there,and worth it with 24 hr daylight. Just a sleeping bag and camera…. Spitsbergen don’t know much about, but know it is full of polar bears. Everyone seems to like Skye very much. It is spectacular. Highlands – yes, some very dramatic parts, and Orkney can be a good place, as can Shetlands, with lots of folk music festivals on at that time too. I’m in Finland these days! Do come by if you want to add to your journey. Lappland is not bad, with Sami culture, and near to Norway..
Sleeping in a tent in Iceland when it can be rainy and sometimes very windy didn’t sound so attractive so I’m thinking of campervans, a normal one for the circuit and then a 4WD one for the interior. I’m only thinking of staying a day or so in Spitsbergen (due to polar bears and logistics) though we’ll have some zodiac expeditions from the ship. I don’t know about Finland, though. You’re unlikely to be living up north near the border with Norway and somewhere down near Helsinki is probably a bit too far out of the way. When I started to read i didn’t consider that it will be useful info for me however currently I am really greatful that I located such webpage to browse. Respect to the journalist. Canberra’s great. Lots of live music. Very close to the bush. I haven’t been to Melbourne for years and never stayed more than a few days there. I always suspected Melbourne would be a better place to live than Sydney but never put it to the test. Yes, I’ve definitely become project focused; for me, pursuing disconnected single images can only take you so far. Hello Murray, I’ve lived in both cities. I think that Sydney is a more interesting place to visit as a tourist but Melbourne is definitely a better city to live in from a cultural sense. There are vibrant outposts to be found everywhere away from the city centre. After all you cant be voted “the most liveable city in the world” on two occasions for naught. If you ever come to Melbourne, let me know as I’d love to catch up with you for a coffee and share our life experiences. Take good care of yourself Murray. First, thanks for taking the time to visit my site; pleased you did because otherwise I would probably never have come across yours. Very interesting and a mine of information by what I have looked at so far, will enjoy working my way through all your back-posts. I think it will take me some time but looks worth the effort. Thanks very much David and I’ll have to check yours out some more too. It sounds like you may have forgotten but you have been here before though it may have been a long time ago. Ha – that would explain why some looked familiar. I had some problems with my computer and as a result needed to rebuild my favourites list. Yes, I just restored from backup yesterday some important files I had accidentally deleted while trying to create space. We conversed that previous time but it must have been on your blog. I think it would have been while I was posting the Patagonia/ Antarctica/ Easter Island images so you wouldn’t have seen any on the other tabs. Thanks very much for the honour, Jenny. I must admit though, I’m not much inclined to follow up on the conditions for acceptance of awards. That is absolutely OK, took me rather some time to write this post 🙂 You are still very worth the nomination. You’re shots are awesome! You obviously have a great camera and an astute eye. I love your destinations. Thanks much for stopping by my blog. Hi Murray, thanks for showing the nice photos! I wanted to present an opportunity to you to promote your photography. Could you please send me an e-mail message? It’s in my gravatar profile: zenophon@velocitynet.com.au. Loved your Eddystone Lighthouse photos. We have started an appreciation page for Eddystone Lighthouse on Facebook – Friends of Eddystone point. I was wondering if you would like to post up a few of your photos or if you want to email me a couple then I could do it – we would, of course, reference you. Hi Rich and thank you. I posted a link to the page on the blog on the Facebook page for Eddystone Point. I post live music images on Facebook but not landscape images because undesirable policy toward ownership. Basically they own anything you post there. I’m particularly disinclined to do this for my lighthouse images because I have the rights for fine art reproduction but not commercial rights. There is nothing to stop Facebook making commercial use of any image you post on Facebook. I did not know about Facebook policy regarding photographs. So completely understand. Thank you for posting your link. It is such a great blog and I know people will enjoy Eddystone photos and so much more. I loved the photos of Assynt. Once stayed in a freezing cottage overlooking Loch Nedd- October 1979? Also used to climb down to the base of the Stacks of Duncansby when I was a kid, so happy memories. Assynt is a wonderful little corner. So secluded and such wonderful vistas. I imagine the area round the stacks of Duncansby would be great fun in a small boat in the appropriate weather. How you get one there might be another matter, though. Beautiful pictures, I’m going to follow your work for sure! I met you in Thredbo this month and just got around to checking your site out – absolutely amazing! Your tour of Scotland was sensational and those ‘bird’ shots – fantastic! Can’t wait to see your coverage of India. Have a great trip. Hello Jeff and thanks very much! I’m only halfway through Scotland; I’ll continue after I return from India. You can always subscribe if you want to see the posts as they come. I lived in Albury, NSW, during the 1970s. Lake Hume, the Murray River–all backdrops to my childhood memories. Thanks for sharing your pictures–lots of fond memories. Hello Rajiv! Thanks very much! Really enjoying your blog. You have been to some great places and I have shown your blog to a few friends who I am always talking with about some of these areas. I bumped into your name on Leanne Cole’s recent post on color management issues so I zipped over to your blog and I like what I see. 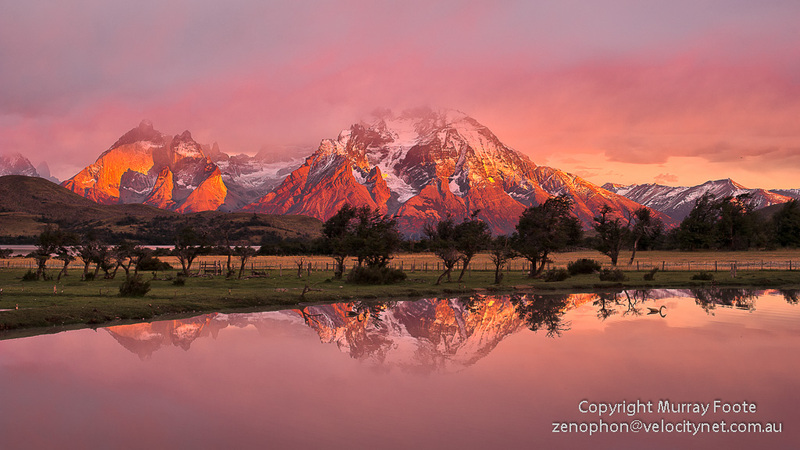 I plan to go through you posts on Patagonia and Antarctica since we hope to travel to the latter early next year. Murray, I wanted to contact you directly to let you know how much I appreciated you sharing your expertise (and your time) not only in commenting on the color management post, but in answering my numerous follow-up questions. You’re advice has been invaluable and I now can make educated decisions about what I want to do for my purposes. Thank you! I also knew I wanted to come visit your blog, and from my rather cursory look before leaving this message, I can’t wait to dive in! Thanks very much Stacy and great to have continuing contact. There’s a lot to peruse here now. If I printed out all the images as A4 and laid them end-to-end they would reach over a kilometre and there are enough words here for a 340 page book! Thanks very much for the compliment, Vasudha. However, I’m not inclined to follow the conditions for receiving blog awards. Murray, I am very happy you stopped by my blog which led me to yours. Your images are fantastic and I am enjoying looking around. I lived in Sydney for three months this year and loved every minute. Thank you. Thanks very much Jane. If you ever come back again and I’m not off travelling, please feel free to drop in, in Canberra. thanks for stopping by and the likes on my recent posts. You have some great images on your site. It is amazing to me how we take for granted the things we do with digital images today that had to be handled in camera or through difficult darkroom editing procedures with film. So much more of a reason to admire the quality of your work. Best Wishes! Thanks very much Eddie. Yes, I got quite bored with the (E6/ Cibachrome) chemical darkroom eventually. Post-processing is not nearly as tedious and digital technology generally is both much more accessible and much more powerful. Thanks very much Noeline! It may be partly because I went through University majoring in Economic History (though I ended up as a systems developer). I feel I have to understand the historical and ecological significance of the places I visit, if possible before I go there, though in retrospect is good too. The Blues community is very strong in Canberra and we have the Winter Blues Party tonight (ie it’s 3am now). My partner and I are visiting the South West Canyonlands in the US in a couple of months and after that, 10 days in New Orleans. I’m so impressed by your work. In one of your posts you talk about using your fuji-film camera, I was so surprised. I started photography using a fuji film camera, never really thought of it a being all that professional, have a different opinion now. Really love photography and am always amazed by the skill I see in other photographers, what are they doing that I’m not? Still trying to figure it out. Any insight? In the film era, Fuji made some very successful medium format lenses and fine large format lenses. The quality of their lenses is one of the main reasons for their current success. I always think that the most important thing in photography is to be able to visualize the final result when you take the photograph and analyse whether you achieved what you envisaged. Then, although photography can also be quite technical, technical issues largely fall into place. Also, while cooperation with other photographers and image assessments can be very valuable, the most important opinion is your own and your most important asset is your own sense of what your images should be. Thanks for visiting Turquoise Compass today. I appreciate your visit. You are never too old to dream a new dream. Have an amazingly turquoise day! Hope to see you again. Amazing photos by the way. Hello, I just went through all of your postings from your Easter Island trip. Excellent writing and excellent photography! I look forward to reading more of your posts. Thanks very much Santos. Great to be appreciated. Easter Island is definitely a remarkable place to visit. Yes, it served me well although I’m now shooting entirely digital and the new models have features that my first generation one didn’t, especially with the focusing screens. It’s certainly possible to use older lenses. My 150 Linhof Super Technica dates from the mid 1960s. However, as I stated on page 4 of the review, the hole in the adaptor was too small and I had to enlarge it with a round file. Also, the adaptor wasn’t long enough for my lens to focus properly and Gaoersi sent me an additional spacer ring to make this possible. You’re unlikely to buy an adaptor without having a specific lens in mind so I’d ask the vendor whether that specific lens is suitable. I also have a 75mm lens for which I got an adaptor but that was a relatively modern Rodenstock with which there were no problems. Hi Murray,I run a Blues Event on the Mornington Peninsula called the Mornington Peninsula Blues Sessions and will have Ali Penny involved.Have found a great shot of her you took which is on your page for the poster/website,The shot of her on the keys with the sax.Would you mind if we used this shot and gave you the credit on our website and posts ?Cheers! Really enjoying my trios to your blog Murray. Makes me feel well travelled! Your work stands out for its sense of scale and clarity. Regards from Thom at the immortal jukebox. Thanks very much Thom! Great to receive the positive feedback! I do visit from time to time (and am following). Great pictures. I was interested to see that you used my theory about the political assassination of Cook. I would be interested to know where you picked it up. I now live in the south of France. A good place for picture taking and painting. I do read history but processing images also takes up a lot of time. I’m probably heading to France next year for a while. We have an invitation to visit some friends in Bordeaux. Greatly enjoyed your site, thank you, especially the Easter Island trip. I have to give short (not-for-profit) talk on the island (without having visited!). Would be willing, please, to let me use one of your images (the stones in the ahi) as a slide for the talk? Sure. If 1024 px wide is OK, you can click on an image to open it the right-click to [Save As…]. Murray, I know that some time back you were interested in the photo tour of the Altai mountains. I want to extend a offer that may you may find intriguing. I have a friend who is willing to set up a personalized tour inside Russia visiting places that are of interest to you. I suspect he’d be willing to go to the ends of the earth in helping you reach just about any destination inside Russia. He’s extremely well traveled and knows Russia from east to west (this is very rare). If you were to give me a list of places you’d like to visit I could show it to him and get back with you. The dollar goes a long way in Russia these days. Steve, thanks very much, that’s a very tempting offer. I’ve sent you a reply by email. Great, we can continue our conversation there. I’m so glad you stopped by my site the other day – by doing so I’ve found your site with your wonderful photography and wealth of experience. we met for a conversation over dinner — on 12th or 13th of October 2015 — when you stayed at La Caz Oceane in Reunion Island on your “Madagascar South Georgia 2015” Expedition. My name is Ralph and I am the tall German guy who was very interested to hear about your travels that night. Today I’ve come by your website to view the images you took on this journey. I cannot leave this site before having told you that I find your images utterly amazing! You are ONE talented photographer and it was a privilege to have met you. I trust you are keeping well and are already planning further photographic and wildlife expeditions. Keep up the outstanding work — or should I call it “inspired art”?! I do have another trip planned, for August September. First I am in the Flinders Ranges in South Australia for a one-week workshop. Then I take off with my partner to Mexico City, Flores in Northern Guatemala, Cuba, Santo Domingo, Sint Maarten, Antigua, Montserrat, Jamaica and finally the Salton Sea in Southern California. About six weeks altogether plus South Australia. Hi Murray. I played in some bands in Canberra in the 80s STD and Skannerz. Stakeout, boot and flogger ainslie, manuka, eastlake ftbl clubs. Do you have any print or negatives I could buy off you? I don’t have any record of Skannerz but I do have some slides of STD from late 1981, playing following True Confessions. I did have a quick look at a couple of those and they seem OK at a quick glimpse. They’re not scanned (none of my live music images from that period are scanned) and it’s not going to happen soon because I’m going overseas next week. I’m back in earlyish October though I also have other commitments then and in early November. I’ve left a note for myself and I should be able to do some prints for you but it will take time. Feel free to send me a reminder in October though I should keep it in mind. Thanks for your reply. I’ll send a reminder in October. I’m back but with too many things to do. Scanning old slides is likely to be time-consuming and I don’t have the time at the moment. I’ll leave another reminder for myself for mid-November. So pleased you found your way to my blog, which led me back to yours. Will love seeing your photos and reading about your travels. Likewise! I’ll be very interested to read how you found the places we have been to and the ones you have been to that we might like to visit. I completely understand! I can live without the photos so please put my request to rest. Thanks for the reply. I will get round to it but commitments have built up while I was away…. I’ve been researching about Easter Island and stumbled upon a photo which I think is yours being used on another site. Your watermark was cropped. If you want the link I can send it to you. Otherwise, just disregard this. By the way, your Easter Island post is very informative and love your photos, thanks for sharing with us. Yes I know about that site. It’s actually run by a lawyer and a travel agent! They don’t just use my images but they use them to sell hotel bookings. If I remember they use 8 of my images 109 times. I have it all documented but have yet to go to a copyright lawyer. I’d like to talk to you about using your monochrome image of Skara Brae for our Design and Crafts Bi-annual publication, MacGuffin Magazine, based in Amsterdam. If you can get in touch with me at Saba.askary@gmail.com that would be lovely! Love all the work and commentary you put into your photos Murray. Really appreciated. Murray, sitting in airport Perth heading home to TOOWOOMBA. Found you website. You may remembered me. Michael Gilbertson, Kens son. Love your photos, I do a bit myself and drone. Thanks very much Mike. Sorry, don’t remember you or Ken. Where from? Ken wrote the Saga of the Sea for the Seamans Mission. I may be wrong but I thought you came out to Neptunes in the 60s. No I never got to Neptune. I did get to Althorpe though in 1987 when I was travelling around Australia taking photographs for “From Dusk Till Dawn”. Perhaps that was it? Yes my mother sent me the book. I loaned it out 15 yr ago and didn’t get it back. I may have mistaken you for some one else. I vaguely recall that there was actually another Murray Foote working in the South Australian Office of Navaids or whatever the precursor then of AMSA was. He was of retirement age at the time (1987) while I was in my 30s and I never got to meet him. So that may have been it. No, sorry, I’ve never used a drone and I only took aerial shots over Kauai. I did have an aerial view of Pi’ilanihale Heia in a post but as I said there, that’s merely a copy of an image on an information board. We are in the process of revamping our lighthouses of Australia web site and would like to include some of your excellent lighthouse photos. I can be contacted via my email to discuss in more detail. I’d like to buy an image you took at the Moyhu gig at hitched to the sticks as a present for my dad. Can you email me please? Hi James, I can’t email you because there is no email attached to your comment. Email address? Correction, yes I can. Email on the way. 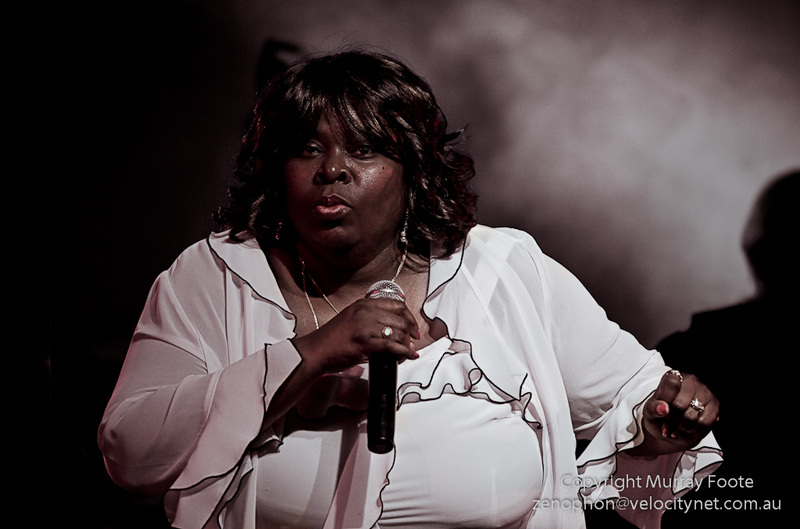 I was in the Dancing In The Shadows of Motown band at Thredbo. I have lost your number so please either call me on 0417261087 or email on cbodinnar@outlook.com as I would like to discuss sourcing some of our band photos that you took please.